Since 1999 the co-founders Sean and Marcos have been arranging all sorts of unique and custom tailor-made tours to Spain and Portugal. It all started out with one very special Food and Wine Tour of Galicia, North-western Spain. Sean was working as a travel agent in Vancouver, Canada for years selling other companies tour products when he came upon the idea of creating his own tour to an undiscovered part of Spain where his wife´s family are from. After extensive itinerary planning Sean and Angie hopped on a plane and set off to Galicia to see everything first-hand, that is when they met Marcos and the dream of EATour Specialist started to become a reality. Marcos was the current owner of a 3rd generation family-owned coach company that arranged bus services all over Galicia for groups. 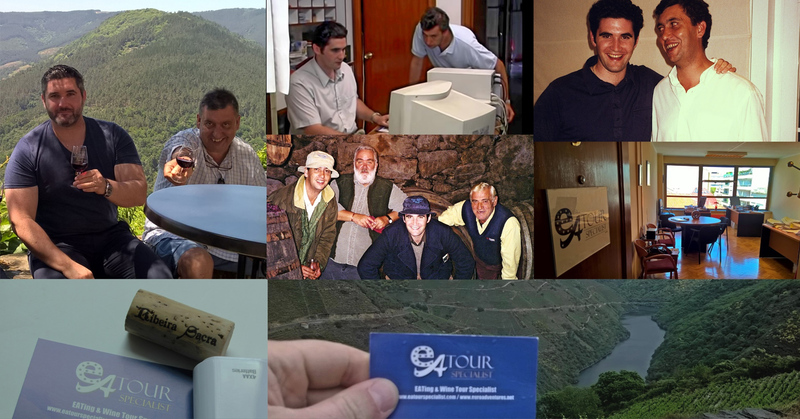 Years of experience that proved crucial for organizing our Galicia tour. What started out as just getting a quote for a minibus turned into a business partnership and showing all the secrets of Galicia that only a local would know or have access to. Even on the first tour departure Marcos and Sean escorted the trip together, a great team and the tour was a success setting the foundation of our current incoming travel agency. Our goal has always been to create a memorable experience for visitors to really get to know the way of local life in the destination.